As CEO of retailer REI, the incoming secretary of the interior was on the radical extreme, using investor dollars to wage open green activism. In naming Sally Jewell as Interior secretary, President Obama lauded the REI boss as a woman who “knows the link between conservation and good jobs.” Tell that to Kevin Lunny. Mr. Lunny runs an 80-year-old California oyster business that had the bad luck decades ago of being enclosed in a federal park. On Monday, as Ms. Jewell polished her acceptance speech, a federal judge ordered the business evicted. Among the organizations working hardest to destroy the livelihood of Mr. Lunny and his 30 workers was the National Parks Conservation Association. Ms. Jewell is vice-chairman of its board. The press is just wild about Sally, feting the president’s nominee as everything to everybody. She’s never held office. She’s the CEO of a successful outdoor retailer. She’s a woman. She started as an oil company engineer. She is a “committed conservationist.” What’s not to love? 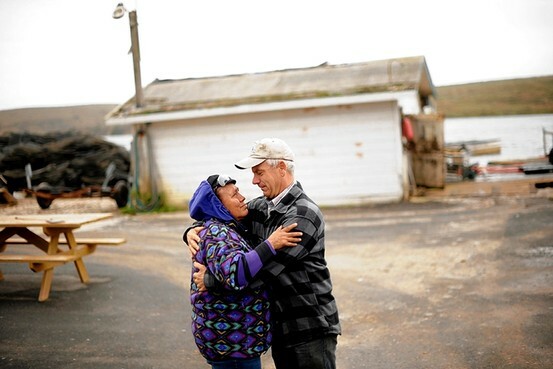 REUTERS – Kevin Lunny, owner of Drakes Bay Oyster Company, hugs longtime worker Lupe Guadalupe Arriago after learning the government will not renew his family’s lease in Inverness, Calif., Nov. 29, 2012. Far from a creative choice, Ms. Jewell is just the newest addition to Mr. Obama’s second-term team of loyal ideologues. It is in fact Ms. Jewell’s (relatively unknown) history on the environmental fringe, and her liberal policy prescriptions, that surely made this an easy Obama call. The president knows he can rely on Ms. Jewell to do for the federal government exactly what she’s done at an activist level: Lock up land, target industries, kill traditional jobs. There are companies that strive to be environmentally responsible. And then there is a different category of firms altogether—those on the radical extreme, which use investor dollars to wage open green activism. REI is among these. Ms. Jewell, who joined the REI board in 1996 and rose to CEO in 2005, has been central to campaigns that have squelched thousands of jobs in the name of environmental purity. REI, for instance, actively supported the Clinton-era Roadless Area Conservation Rule, which in 2001 locked up a third of all national forests, dealing another blow to logging and mining. When former Washington Gov. Christine Gregoire in 2006 announced she’d fight the Bush administration’s effort to inject some flexibility into the rule, she held her press conference at REI’s headquarters, flanked by Ms. Jewell. “We develop them, we log them, we mine them—we lose those assets forever,” complained Ms. Jewell at the event. REI’s well-heeled clientele ultimately got 58 million acres of “pristine” walking trails; Western loggers got to tell their kids they no longer had a job. The NPCA, when it isn’t destroying oyster farmers, has filed lawsuits attacking power plants and waged campaigns to ban off-road vehicles and snowmobiles in park lands. Ms. Jewell, on the board since 2004, was there for many of these efforts to kill jobs and restrict park use to those whom the NPCA approves. These are the very parks Ms. Jewell will oversee as Interior secretary. What might also have qualified Ms. Jewell for the nomination is her open support for an idea of great interest to this administration. “I know tax is a dirty word, but if we were paying a carbon tax that accounted for our impact on greenhouse gases, that would in fact change our consumption,” explained Mrs. Jewell in 2009. She’s certainly an Obama fan, donating $10,000 to his re-election. No word if she’s sent an equivalent check to Mr. Lunny, or the Inupiat. “She knows that there’s no contradiction between being good stewards of the land and our economic progress,” raved Mr. Obama in announcing her. Ms. Jewell’s history is instead proof that she believes no such thing. A version of this article appeared February 8, 2013, on page A11 in the U.S. edition of The Wall Street Journal, with the headline: A Jewell Who’s Rough on Jobs. Search the entire National Park System (NPS) and find NPS concessionaires that leave the same “environmental footprint” as the Drakes Bay Oyster Farm has on the resource that have their leases approved or renewed and use the basis for NPS approval or renewal of said leases as proof that the negative environmental impact of the Drakes Bay Oyster farm is purposely skewed by NPS to put them out of business. I regret every dime I’ve given to the Sierra Club. Those people getting quoted in the press have never even been there, don’t know how vast the Marin Seashore really is, how much we love our homegrown oysters.